A team of NIU social entrepreneurs will be among the featured guests Friday, April 5, at the Social Impact Summit, at the Barsema Alumni and Visitor Center. The event, hosted by the NIU-based Collegiate Association of Unreasonable Social Entrepreneurs, is intended to educate students (and others) about social entrepreneurism, to inspire them to increase their societal and environmental impacts and to create a forum where individuals passionate about changing the world can network. Tickets are $5 for NIU students and $15 for all others. Registration is available online. The event is sponsored by Impact Engine. The event will include presentations by social entrepreneurs, including a group of recent NIU alumni working to bring safe, inexpensive electrical power to the Third World. The students won the first ever Social Venture Competition at NIU in 2012, devising a business plan for a company they call Light Up Africa. Their goal is to build and market a small, inexpensive device that captures the kinetic energy generated by everyday activity – walking or cycling, for example – and stores it in a battery. The energy can be used to power lights to provide illumination for studying, cell phones for jobs and other devices. The device would help eliminate the need for dangerous kerosene lamps without the expense of building power grids and generating stations. Chuck Templeton, managing director of Impact Engine, a 12-week accelerator program that supports provides start-up companies working to address societal or environmental issues with workspace, networking opportunities, seed capital and business workshops to help them get established. They also provide opportunities to meet potential venture capitalists. 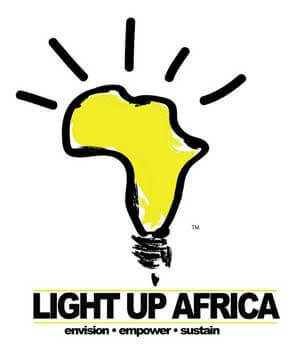 Light Up Africa was one of the first companies supported. Megan Kashner, founder and CEO of Benevolent, an organization which allows donors to select and support individuals with very specific needs which, if met, will allow them to become more self-supporting and successful. For instance, one recent recipient secured a job as a welder, but needed money to buy necessary tools and clothing so he could begin his 90-day trial period. Donors provided the $665 required. Amanda Britt, of Panzanzee, will moderate a panel discussion featuring the other three speakers. Panzanzee is a social enterprise incubator that provides social entrepreneur with business support and guides them through a process that helps them move their product from idea to production. The panel will discuss what it takes to launch and run a social enterprise, sharing lessons that they have learned along the way. For more information, email zfiegel9@gmail.com.